As parental tech support goes, this may be the strangest problem I’ve ever been handed, but my mother was right. Whenever I tapped one of the favorites in her iPhone’s Phone app, that pre-recorded message from Verizon played. But when I tapped in my iPhone’s number manually, the call went through properly. She had deleted the record of the call to the Netherlands, but I had no reason to disbelieve her. My initial feeling was that this was a Verizon problem related to her account, but I didn’t want to foist her off on Verizon tech support if I could avoid it. While investigating, I noticed that all the phone numbers in her contacts were formatted differently than mine. All of mine looked like (607) 555-0123, whereas hers were all run together, as in 6075550123. I remembered seeing this before but had chalked it up to her massively messy address book, since the email address of everyone she had corresponded with in Outlook when she worked at Cornell University had at one point been imported. 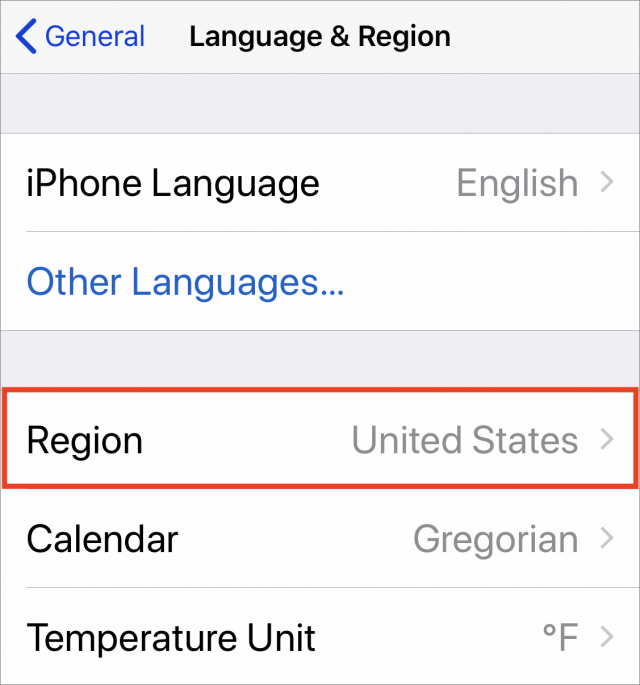 Given the call to the Netherlands and Verizon’s message about long distance and international calling, however, I pondered the possibility that her iPhone had suddenly started thinking of itself as being in another country, such that it would somehow embed a country code into stored numbers before dialing. I was grasping at straws, but it turned out to be the right track. 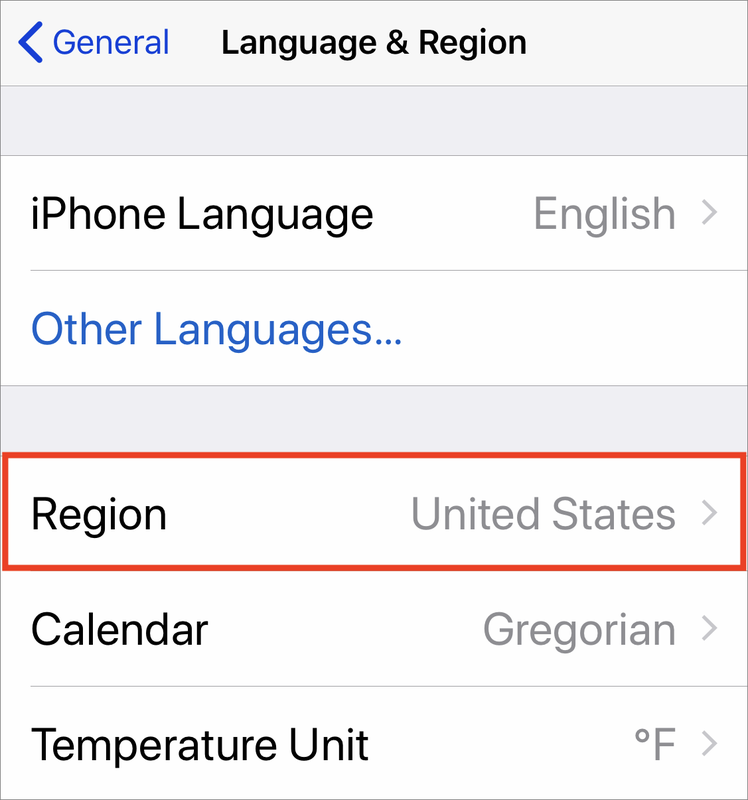 In Settings > General > Language & Region > Region, her iPhone was set to United States, but on a hunch, I reset it to Uraguay and back to United States. Lo and behold, the formatting of contacts’ phone numbers immediately changed to match mine, with the parentheses, space, and dash. More important, tapping numbers in her Favorites list called those people. Problem solved, and I breathed a sigh of relief, because keeping family happy is job #1. I can’t imagine that this problem is at all common, but I hope that anyone else running into it will find this solution.